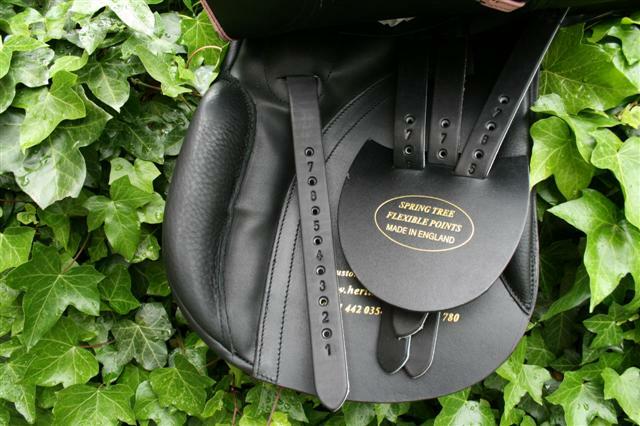 The Cheshire GP is true multi purpose saddle. 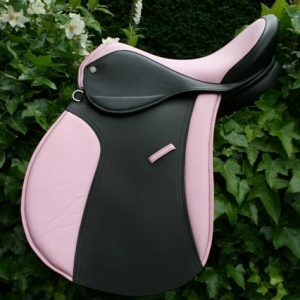 Hacking, jumping, hunting, flatwork and leisure riding are all a pleasure in this very comfortable and secure saddle. 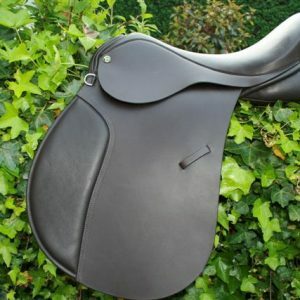 This beautiful top quality saddle has a wool flocked panel and is available in Dark Havana Brown and Black. 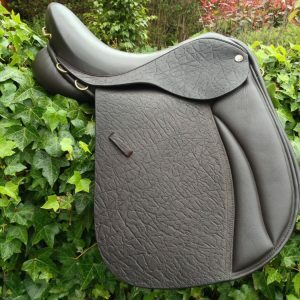 As well as matching colours, various other colours of welting (piping) in the seat, such as white, caramel etc are available too. 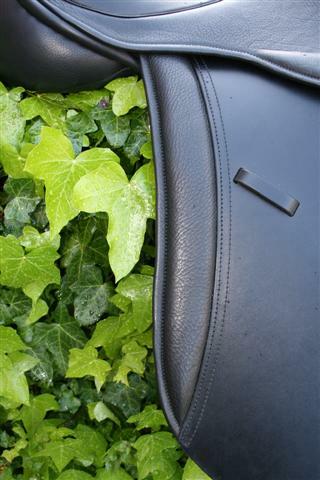 Very comfortable, soft padded seat, ensuring comfort on short or long rides. Good sized Knee and thigh rolls for security, but if you want them bigger or smaller just ask. 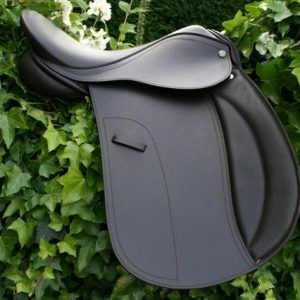 You can have this saddle with different depths of tree, round or square cantle, just ask for the available options. 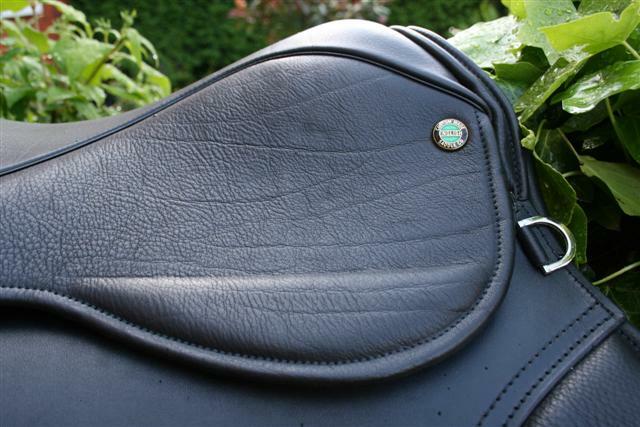 Flap widths and lengths can be whatever you like too. We can help with this. 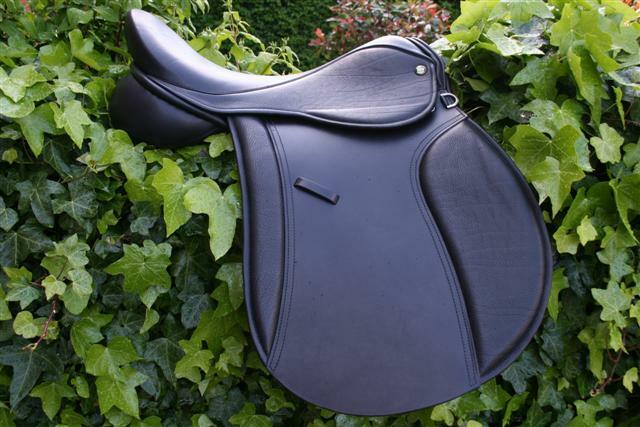 Another of our stunning 100% English made Saddles.